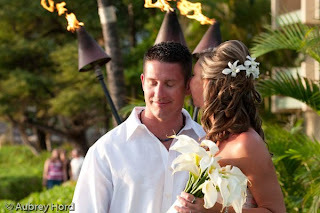 Sabrina and John had planned their perfect wedding for months in Jamaica. When civil unrest hit the area a couple of months ago, that changed the game completely and destroyed their perfect wedding dreams. 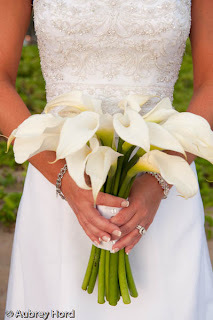 With the political instability and no knowledge of where their paperwork or deposit had gone for their wedding, the couple had to find a new tropical venue to get married. 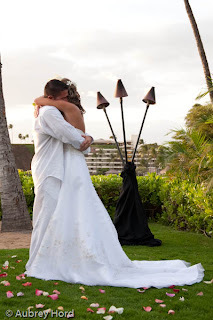 They chose the ocean side wedding site on Maui called the Naupaka Lawn at the Ka'anapali Beach Hotel and kept their fingers crossed that nothing would go wrong. It ended up being a perfect evening with light and weather. I lucked out and got an amazing couple! We spent nearly two hours talking in the wedding consultation meeting and my cheeks hurt from laughing so hard. They had a wonderful minister for their ceremony who laughed along with the couple during their service and had a truly infectious smile. 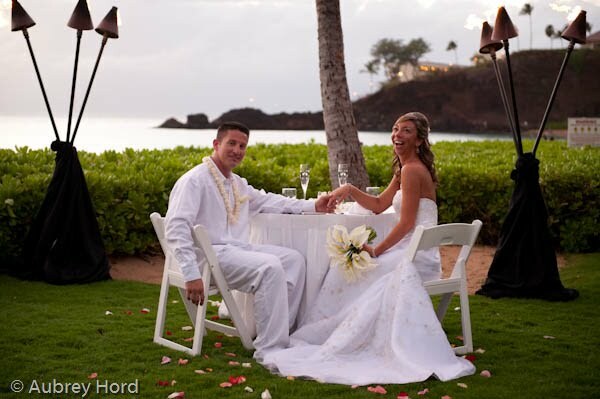 Finally, they ended their romantic evening with a private dinner on the Naupaka Lawn watching the sun set into the Pacific Ocean. 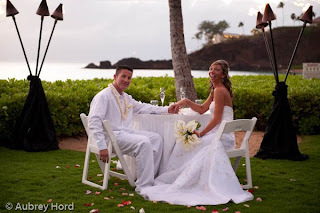 I am honored they chose me to capture their perfect destination wedding in the Hawaiian islands! So congratulations and best wishes to Sabrina and John who were great clients - fun and flexible with their plans and will keep each other laughing for the rest of their lives.